She has trained in some of the world's leading laboratories researching G protein-coupled receptors. Her prestigious PhD studentship was co-funded by the Biotechnology and Biological Sciences Research Council and GlaxoSmithKline. Following postdoctoral positions with Almirall and Prof Kevin Pfleger's group at the University of Western Australia, Sanam moved to the University of Adelaide. Working with Prof Mark Hutchinson's Neuroimmunopharmacology group and the Australian Research Council Centre of Excellence for Nanoscale BioPhotonics (CNBP), she has widened her research interests to include neuroimmunology. In a transdisciplinary team, Sanam works closely with physicists and chemists within the CNBP. Sanam brings her wealth of experience to her unique position to develop novel tools for sensing and investigating intracellular signalling. 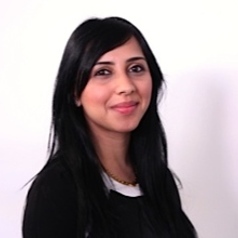 Sanam's current research focusses on the immune system of the brain and its power to change human behaviour. Her research will help develop treatments for stress, pain and addiction. Named as one of thirty 'Superstars of STEM' by Science & Technology Australia, Sanam has the unique opportunity to inspire and support women of all backgrounds to realise their potential.